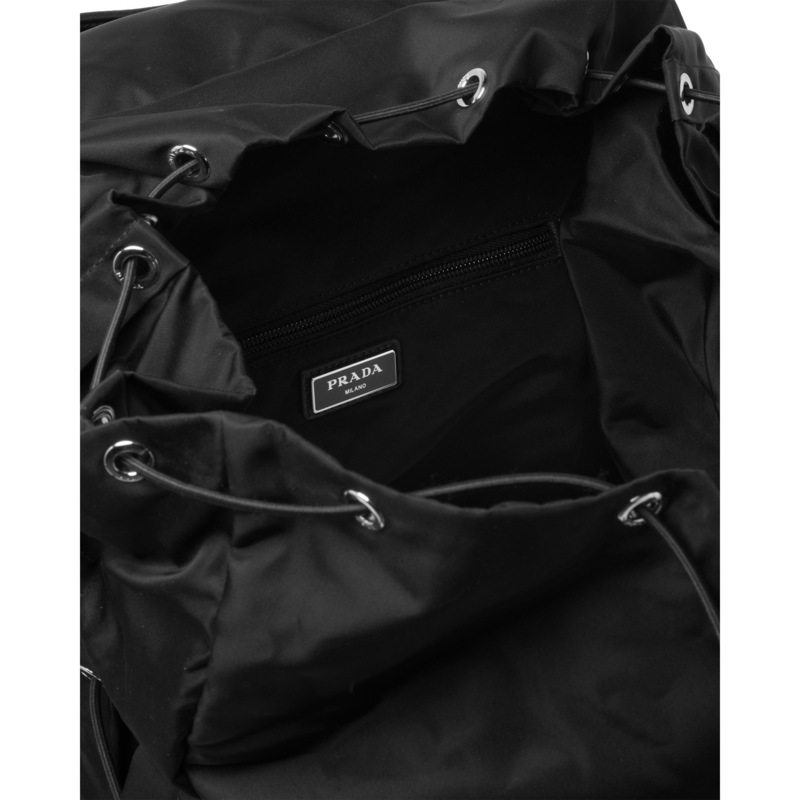 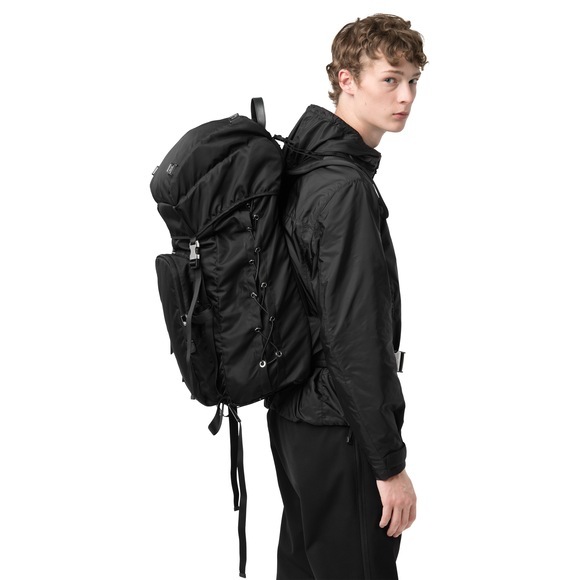 A technical fabric backpack embellished with the Prada logo. 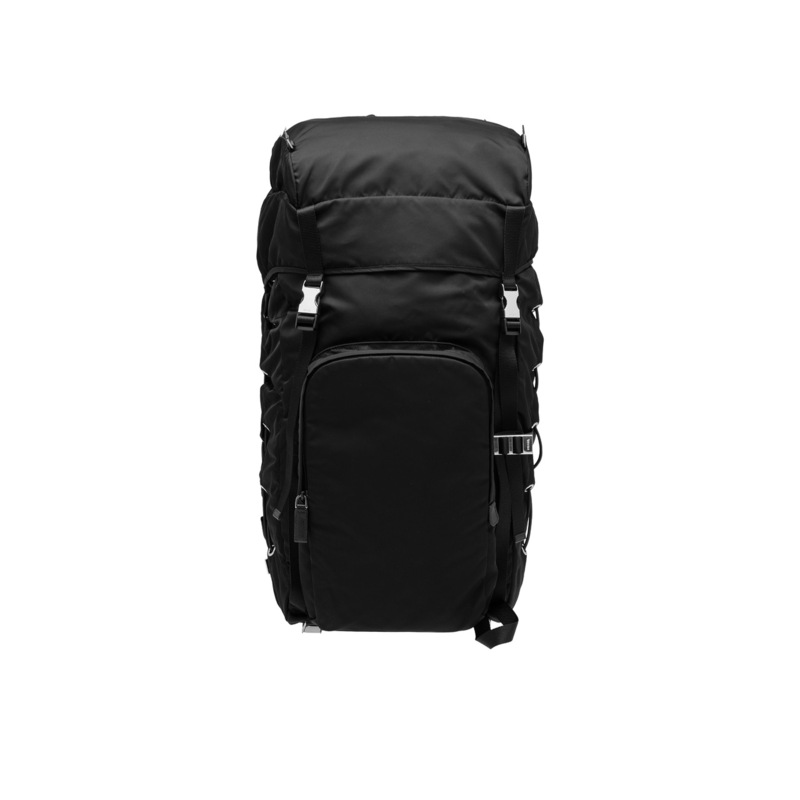 The bag features one inside compartment and two outside pockets. 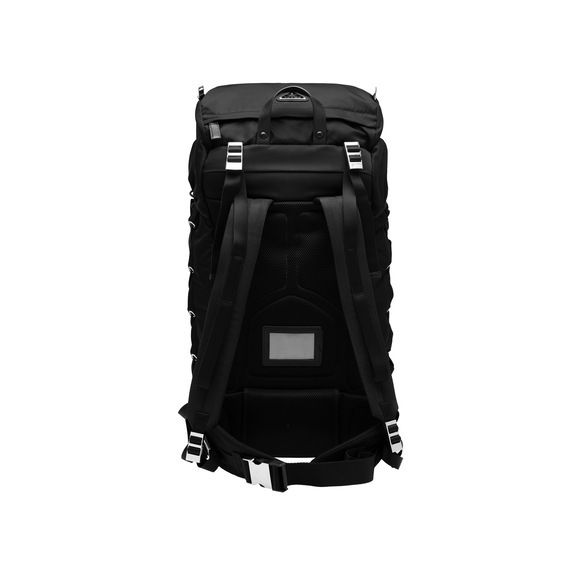 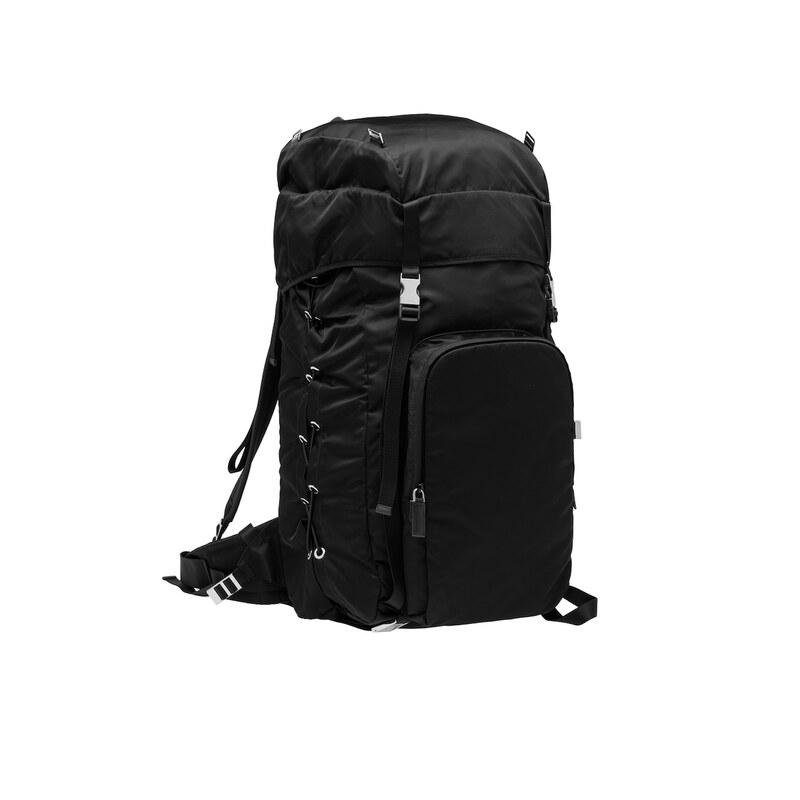 The shoulder straps and back are padded and there are additional straps for support.